Swimia.com has the most up-to-date database on the internet about almost any Aland Islands Swimming Pool. Classified by countries, regions and cities, it is easy to find the nearest pool at the places you visit. For Aland Islands, you'll be able to have a look at the pools we have gathered for you. The ideal Aland Islands Pools are located mainly in big cities, but it's also easy to find public pools in rural areas. Do you know of any Pools in Aland Islands that need to be listed here? Contact us!. Are you a standard swimmer? Have you ever practiced Aquagym in Aland Islands? Let us know!. Going to a Aland Islands Swimming Pool is increasing especially within the elderly population sectors of Aland Islands, who have suffered some sort of muscle or bone damage. There are often discounts on the market to senior citizens and tiny children for independent swim. 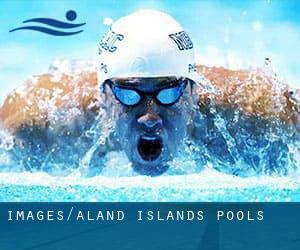 Find out by contacting your nearest pool among these Aland Islands Pools. Enjoy the best indoor pools in Aland Islands and don't worry about the weather. These facilities are open all seasons and you can enjoy a swim at the same temperature every day of the year. There are several reasons why you'll want to choose a heated swimming pool in Aland Islands. One of the most vital one relies on the importance of keeping the body temperature stable. If the water is too cold, your body will try to warm it up and you will lose strength to swim properly. It's difficult to visit Aland Islands without dropping by Jomala (with 3.662 residents). At present Swimia is showing you all the Pool in Jomala along with the closest pools located in its vicinity. Let us tell you a secret to switch off although you happen to be in Mariehamn: just pick out a Swimming Pool in Mariehamn and plunge into the water! There's no more effective method. Holding an estimated population of 1.829, Lemland is one of the most important cities in Aland Islands. Check all the Pool in Lemland and its surrounding area. Swimming is a fantastic thought to keep your body active for the duration of your visit to Finström (Aland Islands), or even if you are a local. Swimia helps you to find your closest Swimming Pool in Finström. Whereas Hammarland is one of the six most populous cities in Aland Islands with nearly 1.395 residents, you shouldn't miss that one if you're going to Aland Islands. Without a shadow of a doubt, swimming in Saltvik is the best way to unwind after perform. Take a couple of minutes to browse Swimia's catalog to find a Swimming Pool in Saltvik. Österleden , Mariehamn , FINLAND (Postal Code: 22100). Swimmers like you reported 25 meters, 8 lanes, 2 meters depth, 2 meters depth, Indoors. Phone number and e-mail address are number for this Swimming Pool.